Acid reflux is a digestive tract disease characterised by heartburn, sore throat, problems in swallowing food ,chest pain and regurgitation (releasing materials due to the presence of undigested food particles). Clinically it is known as gastro-oesophageal reflux disease or GERD. It is primarily caused by efflux of acid enzymes from the stomach to the oesophagus (food pipe), thus, damaging the inner mucosal layer of the food pipe. The hampered functioning of the sphincter muscle guarding the oesophagus-stomach opening is responsible for this. It causes necrosis (cell death due to damage) of the oesophagus cells. This can further lead to oesophagus cancer, ulcer, oesophagitis and Barrett’s oesophagus. Treatment for this disease includes change in dietary habits and medications like proton pump (H+ ion) inhibitors such as omeprazole or acid blockers such as antacids. How to take Manuka Honey For Acid Reflux? The honey obtained from the nectar secreted by wild Manuka trees found in New Zealand is called Manuka Honey. It is rich in phenolic content and flavonoid – also highly acidic in nature. Manuka honey has several naturally occurring properties that have a number of health benefits, and it is due to these properties that Manuka honey is considered a “wonderfood”. There are several compounds present in Manuka honey that are not present in regular honey, but one of the most important of these is Methylglyoxal. It is by the virtue of this compound that manuka honey possesses most of its properties, including its antibacterial, antifungal, antimicrobial and antiseptic functions. The anti-gastroenteritis property of manuka honey has a major role for this disease. Here, we are discussing these effects of manuka honey. 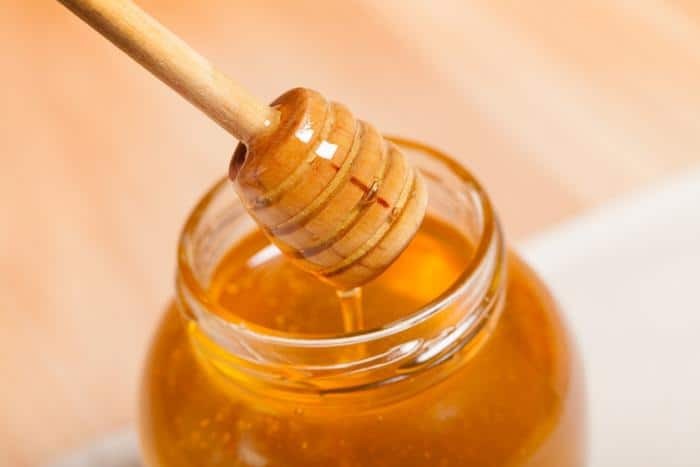 Manuka honey prevents acid reflux and the subsequent erosion of the oesophageal wall by similar effects like those of honey, including the anti-gastroenteritis property of honey. The following are the probable ways of doing this. It has a high healing capacity for both external and internal wounds. Not only does it cure external wounds but also it prevents heartburn and other burning sensation associated with internal visceral organ damage. A study on mucositis , compared the effect of honey healing power with other topical agents. Honey was found to be more effective in preventing the spread of the wound and thus further leading to ulcer. Hence, it prevents mucositis (damage of the mucosal layer) and ulcer. The healing power of manuka honey can reduce the cell damage, sore throat , scarring of tissues. It mainly acts by protecting the mucosal layer from damage including further opportunistic infections and inflammation. Thus property is relevant to treating gastric erosion in acid reflux. Research shows that manuka honey improves digestion and its anti-microbial property remains potent even after digestion and does not interfere with digestion process. A recent study on animal model of gastric ulcers showed that manuka honey by virtue of its antioxidant and anti-inflammatory property reduces gastric ulcer formation and protected the gastric lining from lesions and inflammation. Manuka honey is found to be beneficial in treatment of Inflammatory Bowel Disease. Manuka honey improves digestion and also exerts an anti-ulcer effect that is therapeutic in treatment of GERD. It has the anti-bacterial property of honey which helps in curing the disease by reducing infection. Various bacteria are inhibited by honey. This includes bacteria causing different gastric and intestinal problems like E.coli, Salmonella, Shiegella, Vibrio cholerae etc. Research has shown that manuka honey has anti-bacterial property comparable to 16.5% of phenol. It is more effective than ordinary artificial honey. 5-10% of manuka honey is effective against almost all types of bacteria except for Enterobacter like E.coli for which it is 10-17%. Helicobacter pylori, the causative agent of gastroenteritis is inhibited by manuka honey. The acidic nature and the presence of hydrogen peroxide are responsible for this. A laboratory test of different dilutions validated this point. It different types of honey had different effects on the inhibition of Helicobacter pylori and this effect reduced in further dilutions. However it doesn’t have synergistic effect on the test antibiotics. This property of manuka honey was further vindicated by another laboratory test. In this test 20%, 40% and 5% manuka honey was taken. 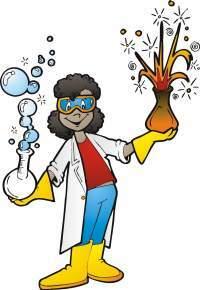 The bacteria were sensitive to both 20% and 5% solution of honey but not with the 40% one, as the 40% solution contained only hydrogen peroxide. Research suggests the role of manuka honey in curing acid reflux. The anti-bacterial ability heals the tissue damage by preventing further infections and scarring . Oxidative stress (increased damage due to oxidation) related damage occurs in chronic disease like GERD. Research has shown that drugs having anti-oxidant effect and reduces oxidative stress by making free radicals available, are an effective cure. Manuka honey, like all other honey has a strong anti-oxidant property which helps in healing. An animal model study of manuka honey consumption for 30 days illustrated this effect. It reduced the oxidative stress damage in the rats in 1month. A comparative analysis of honey from different sources found manuka honey to be the most anti-oxidant. It has the highest phenolic content an essential component for anti-oxidant property. It has 899 mg gallic acid per kg. The anti-oxidant property of manuka honey prevents oxidative stress related damage and reduces the oxidative stress level thereby preventing further infections in GERD. Research shows the secretion of pro-inflammatory cytokines ( a type of proteins used by the immune system) like interleukin 6 , interleukin 8 are responsible for the inflammation and injury during acid reflux. Anti-inflammatory agents like manuka honey inhibits the secretion of these pro-inflammatory cytokines and hence prevents cell injury and inflammation. The anti-inflammatory property of manuka honey is responsible for this. A mouse model study validated this anti-inflammatory capacity of manuka honey. Manuka honey in 2 different doses (one low and another high) reduced the inflammation that occurred during colitis. This is primarily due to restoration of lipid oxidation and improvement in anti-oxidant properties. A cyclodextrin complex of manuka honey seems to have a potential anti-inflammatory effect- including regulating the stimulation of pro-inflammatory cytokines like TNFα. The above points suggests the role of manuka honey as an anti-inflammatory agent for acid reflux treatment by preventing inflammation. The study concluded that regular consumption of manuka honey (approximately 20g) had no adverse effect on the health of their subjects and is perfectly safe . Diabetic patients can also take manuka honey on a regular basis, with careful management of their blood sugar levels. It may be taken alone, or it can also be taken along with a warm lemon drink or ginger drink to help soothe the digestive tract. Lemon and ginger are great from stomach health . A patch test should be done to test for any kind of allergy at least 48 hours before the consumption of honey for those who are having honey for the first time. This is doubly important for people who already suffer from bee or pollen allergy. Consumption of manuka honey is not safe for children below the age of 12 months, due to the risk of botulism poisoning. People suffering from diabetes should only have manuka honey while maintaining a strict check on their blood sugar levels. UMF rating, which is based on the amount of methylglyoxal present, on store bought manuka honey should be checked to ensure the quality and purity of the honey. Effective manuka honey has an UMF rating of 10 or above. Manuka has great therapeutic properties that can help in relieving acid reflux. It can relieve gastritis and terminate infections that could be responsible for acid reflux. Manuka honey can serve as a safe adjunctive treatment for acid reflux. Can Manuka Honey Help In Diabetes?